As you can imagine, I keep notes of information to keep on various topics of Bible Prophecy. In the e-newsletter today I am going to simply include my N. Korea notes. I think it says everything which needs to be said on the issue of N. Korea. I think that N. Korea could fulfill the prophecy concerning the series of suitcase nukes. Though we do not have direct prophecy saying they are connected, the prophecies and article below are enough to send all of us to our knees. If China does not stop the N. Korea problem, it appears we are heading to greater problems! “We’d love to solve things diplomatically, but it’s very difficult,” he added. TOKYO – The Trump administration made a clear break Thursday with diplomatic efforts to talk North Korea out of a nuclear confrontation, bringing the United States and its Asian allies closer to a military response than at any point in more than a decade. I saw a plane preparing for departure. The plane was almost full I saw people finding their seats. There was confusion. One couple wanted to sit together and every time the flight attendant would move them the new seat was worse than the seat before.The plane was a cargo plane that had been converted into a passenger plane to carry people so the seats were mismatched and some facing forward and some sideways and some backwards. It was not put together well at all. I saw the logo on this plane and I knew it was North Korea but I had no idea what the flag looked like for North Korea until I looked it up this on the internet.The plane was a bogus passenger plane. The idea was to carry a nuclear bomb on the plane and use it to attack America. Some of the passengers were speaking English as if they were headed home. The flight attendants did not speak English. This is what I saw on the side of the plane. God will punish N. KOREA for the crimes against the Christians. America will retaliate and drop a nuke on N. KOREA and N. KOREA will be wiped out. I saw an intercontinental ballistic missile with the Red Star on its side. The flag is North Korea’s flag. I had this vision years before they said they had a missile that could hit the US. 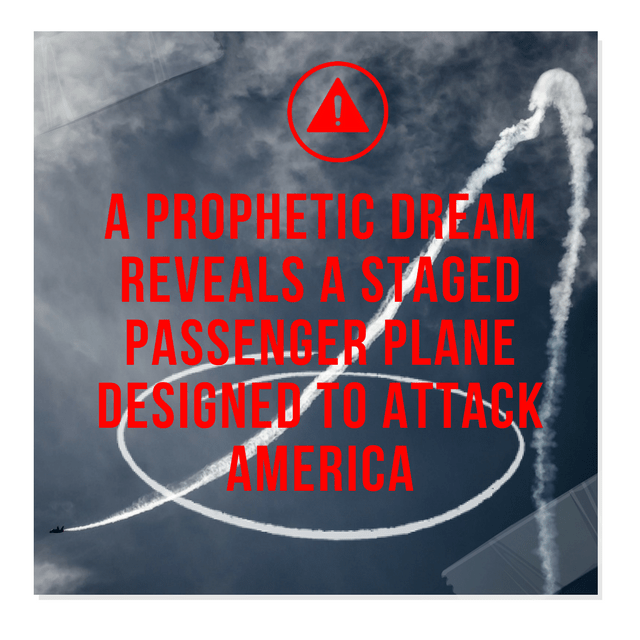 As the missile was in flight it turned from a missile to a sword and back to a missile.I saw “Sword of Judgment” written on the side of the missile I heard the Lord say, “sword of Judgment towards America.” The fact that I had this vision of a nation’s flag before they had the technology and now they do. I believe we are in the season of our destruction. I prayed, then went to bed. I was still awake, when suddenly I heard a trumpet sound. A voice cried out to me, “Stand!”In my vision, I was in America. I walked out of my home, and began to look for the one who had spoken to me. As I looked, I saw three men dressed alike. Two of the men carried weapons. One of the armed men came to me. “I woke you to show you what is to come.” He said. “Come with me.”I didn’t know where I was being taken, but when we reached a certain place he said, “stop here!”A pair of binoculars was handed to me, and I was told to look through them.”Stand there, don’t move, and look,” he continued. “You will see what they are saying, and what they are preparing for America.”As I was looking, I saw a great light. A dark cloud appeared over it. I saw the president of Russia, a short, chubby man, who said he was the president of China, and two others. The last two also said where they were from, but I did not understand. However, I gathered they were part of Russian controlled territory. The men stepped out of the cloud. The man standing beside me asked, “This is what you saw: they act as friends, and say they respect the treaties made together. But everything I’ve shown you is how it will REALLY happen. You must tell them what is being planned against American. Then, when it comes to pass, the people will remember the words the Lord has spoken.” Who are you?” I asked. As I looked, a great army, well-armed and dressed in white, appeared before me. The LORD spoke to me today to alert the prayer warriors and intercessors. Pray to stop an imminent attack threat. There is a plot to detonate several small nuclear bombs above the atmosphere of America and Canada. Their goal is to produce an EMP effect that would cripple our electric system grid. I believe the source is North Korea, but joined with several other Muslim countries. The LORD told me that if we pray, we can disrupt and prevent this disaster. I know that this may sound crazy to some…but I must be faithful to let the Body of Messiah know. Pray, Pray, Pray! 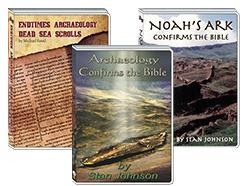 Stan discusses how several discoveries confirm the accuracy of Biblical events and help in our witnessing of the truth to non-believers . Stan plays excerpts from the DVD made by Michael Rood.Michael takes you into one of the most thrilling archaeological discoveries of modern day Israel. Michael presents the most recent photographs, video footage, and artifacts smuggled out of Saudi Arabia, and displays a grinding stone from Mt. Sinai – which may have been used to grind manna to make bread. He also shows Israeli arrowheads that litter the desert of Midian. The intact remains of the altar to the Golden Calf, “The Rock” at Rephadim, which split in half at the blow of Moses’ staff – and still evidences the erosion caused by millions of gallons of water pouring forth for the nation of Israel. You will also see Har Karkum, one of Israel’s camping locations during the 40 years of wandering in the wilderness. This “Prayer Gift Offer”will give you just what you need to know how to have POWER in your prayer life. For Christians, there is nothing more powerful than prayer. It is our direct communication with the Father. Scriptures tell us that not only does he hear our prayers but as a good Father he gives to those who ask Him. As Daniel 11:35 says, There is a test coming for all of us…some of them of understanding shall fall, to try them and to purge, and to make them white, even to the time of the end: This talk will help us stand in the face of death! Stan Johnson explains the secret place of God’s protection. 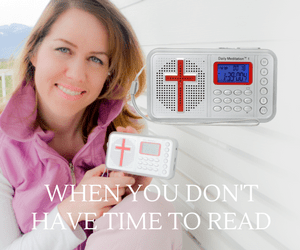 Discover why God protected David from a lion and bear; Daniel from the mouth of a lion; Shadrach, Meshach, and Abednego from the flame of the furnace; and even in modern times, Dumitru Duduman from the electric chair. Stan talks about how he was led by God to build a prayer closet, how he built it, and what he discovered there. 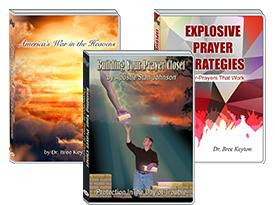 He will explain how to build your own prayer closet relationship with God and give you some simple steps to get you started all the way to the most advanced ideas. If you want to get closer to God, close enough to get God’s supernatural protection from trouble, this is for you. 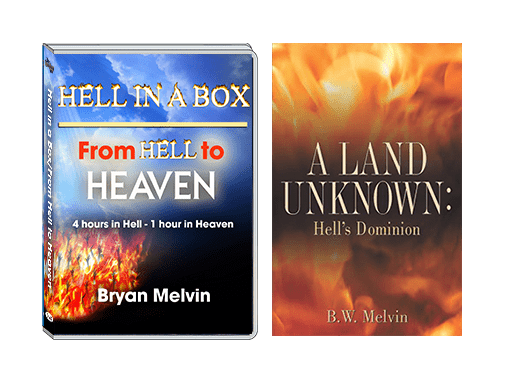 Bryan Melvin Gift Offer – NEW! Hell-is it real or the product of myth? Are the accounts from people who claim to have seen it during a near-death experience genuine or mere imaginings? The near-death experience-is it fact, fiction or fable? 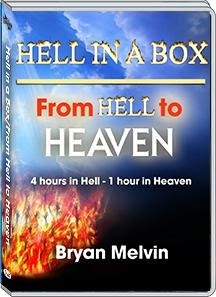 Melvin gives a vivid account of seeing what lies beyond the grave from the perspective of a near-death survivor’s journey to hell. “I woke up expecting life to continue. But that day, I accidently drank contaminated water at a construction site. I spent days in extreme pain losing body fluids so fast that I went into shock and died! I was a militant atheist and discovered life after taking my last breath. I was propelled to face the governor of the universe of whom I had denied even existed. Suddenly, I was facing judgment and was sent to a place that makes your worst nightmares seem tame. Trapped inside a 10’ x 10’ cube, a cell, with demons around giving the illusions of people and places I had known, separated from love, hope, joy, peace of God forever. I was reaping what I had sown in life. In the DFW area? Come be a part of our studio audience!